#1: Visas are not required to enter Morocco and most Vaccinations are not necessary. If you are an American citizen, Canadian citizen or citizen of the European Union, Japan, Brazil or South Africa you can travel to Morocco visa free. To be on the safe side, the CDC (Center for Disease Control) recommends travelers be up to date on the following vaccations: Hepatitis A and B, Typhoid and Rabies. 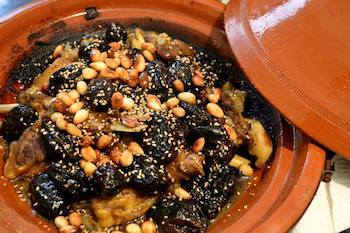 #2: Morocco is home to some of the world’s best cuisine and considered the culinary start of North Africa. Morocco is the perfect place to take a food tour or a cooking class to learn how some of it’s favorite dishes such as Moroccan tajine, couscous, bastilla (pastilla) and Berber breads are made. #3: Morocco is only 7 1/2 hours from Europe. With its relative proximity to Europe and increasingly easy to access from international airports, Morocco has long attracted visitors from abroad. A large part of its charm is due to its historical significance as a cultural crossroads between Arabic, Middle-Eastern, African and European cultures and communities. #4: The Best Place to Stay in Morocco is a Riad. A riad is a traditional Moroccan house or palace with a central courtyard restored to its original beauty. The word riad comes from the Arabic word for garden. As you tour with Morocco Traveler you will have the opportunity to stay in a variety of of riads ranging from renovated palaces to modernist kasbahs. 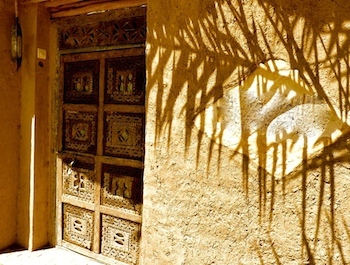 A riad offers traditional accommodations for an authentic Moroccan journey. #5: Wine is widely served and can be easily purchased in Morocco. While Morocco is a Muslim country it is a producer of its own award winning wines. Moroccan wine and beer can be enjoyed at riad, hotels and restaurants along with being widely purchased in small liquor stores and the larger French run grocery stores such as Carrefour. There is also a variety of European and South African wines available. #6: Morocco dress attire for traveles is fairly liberal. During your visit to Morocco it is acceptable to wear most forms of clothing. Recommendations are to dress on the conservative side which indicates no shorts for men and women, low cut v-neck blouses or risque clothing. It is recommended for women to travel with a scarf for the sake of modesty and for both men and women to take off your shoes before entering someones home or a sacred space. #7: Morocco is a cafe culture. All of the major cities, Casablanca, Rabat, Fes, Marrakech, Tangier and Essaouira have a repuation for having a popular cafe culutre. The new towns main boulevards are lined with cafes ranging from chic, to charming, boho to elegant and also the traditional “male cafes” frequented primarily by men, chatting or watching a food ball match. Cafe culutre in Morocco offers the opportunity to people watch and enjoy the local favorite “cafe nuss-nuss,” a small tea glass filled with half milk and have Arabic coffee. #8: Mosques in Morocco are off limits to non-Muslims. Very few mosques in Morocco are open to non-Muslims enabling travelers to frequent the Hassan II mosque. The Hassan II Mosque’s, one of the world’s largest mosques, has a promontory that offers breathtaking views of the Atlantic Ocean. #9: Don’t miss out on visiting Morocco’s Berber Villages and its natural wonders. Morocco is a vast country with 34 + million people. Make sure not to get stuck in large cities like Casablanca or Marrakech. Morocco offers so much more outside of its cities. 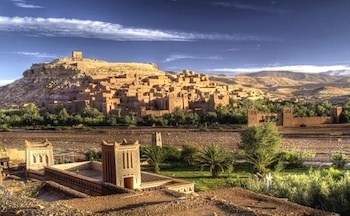 Consider taking a private tour to Berber Villages, the Sahara Desert and exploring some of Morocco’s natural wonders such as the Dades Valley and Ait Benhaddou Kasbah. Southern Morocco is often referred to as the “real Morocco” and this region offers many site seeing opportunities for adventure travelers as does the North and the charming blue washed town of Chefchaouen. #10: Morocco is safe for Jewish travelers and has a long standing history of Jewish Heritage. There are Jewish Heritage Sites in Casablanca, Meknes, Fes, Tangier, Marrakech, Essaouira and in the country side. 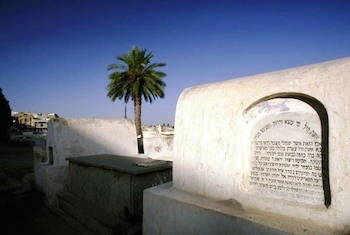 Morocco lays claim to the only Jewish Museum in the Muslim world. Morocco’s history of Jewry and the co-mingling of Jews with Berbers and Arabs are a key factor in why Morocco is safe for Jewish Travelers today. Morocco is a country of Muslims, Jews and Christians. Jews first arrived in Morocco during pre-Christian times, accompanying the Phoenicians on their trade expeditions across the coast of Morocco. In the countryside Jewish and Berber tribes tilled the soil side by side together for two thousand years speaking the Berber dialect. In the towns and cities Jewish merchants and financiers were valued by successive Moroccan rulers who protected them.